You've no doubt heard of Fossil watches, but did you know about their smartwatches? Google also just bought them for $40-million USD. This heralds the coming of the fabled Google Pixel smartwatch. After a big letdown last year as Google didn’t announce a Pixel Watch, things just got a lot more real as Google entered an agreement to buy Fossil Group’s smartwatch technology. Rumors of a Google watch go back a few years. 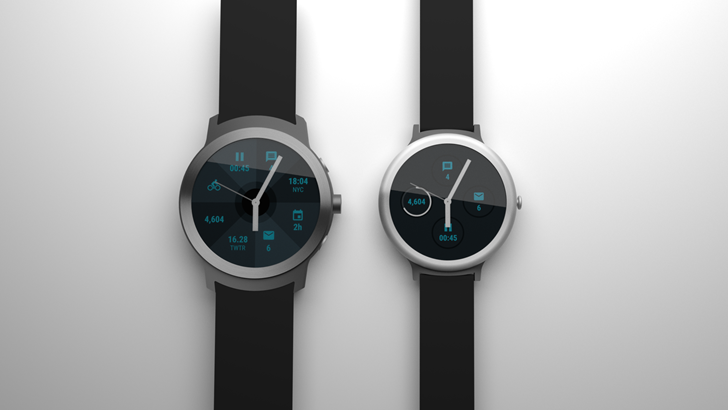 For example, in the summer of 2106, Android Police released renders of what a pixel watch might look like, which were interestingly based of Fossil designs. Summer of 2018, hopes were reignited that Google would release a Pixel watch, but many Android users were disappointed. After all this time, we finally have the first real evidence that Google is listening to their users. Fossil Group announced today that the company plans to sell its smartwatch technology to Google for $40-million USD. 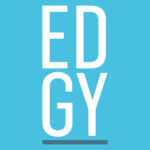 Edgy believes this as credible evidence that a Google Pixel watch collaboration is happening. Not only does it make business sense, Google followed this exact pattern before launching the Pixel phone line when they purchased HTC, and a key part of the deal includes the transfer of employees with hardware expertise. The move unlocks huge growth opportunities for Fossil Group’s tech wearables business. It’s also a move that could make your next smartwatch better than ever. We report the details of the buyout, the Fossil Group smartwatch technology, and how it serves the global Android takeover. As part of the transaction, more than 200 members of Fossil Group’s research and development (R&D) team will join Google. In contrast to the past, this deal means Google will now have a dedicated team with hardware experience working on its WearOS software platform. Previous attempts dating back to 2016 did not see much success. There was yet more speculation in 2018 with rumored specs including a proprietary Qualcomm chipset. But now, we have received more clues about the mysterious Pixel smartwatch. Greg McKelvey, Executive Vice President, and Chief Strategy and Digital Officer for Fossil Group detailed what the deal means for both companies. Fossil Group has experienced significant success in its wearables business by focusing on product design and development informed by our strong understanding of consumers’ needs and style preferences. We’ve built and advanced a technology that has the potential to improve upon our existing platform of smartwatches. Together with Google, our innovation partner, we’ll continue to unlock growth in wearables. In recent years, smartwatches have become Fossil Group’s fastest-growing category. The company successfully developed and launched smartwatches across 14 of its owned and licensed brands. That’s one main factor that attracted Google. “Wearables, built for wellness, simplicity, personalization, and helpfulness, have the opportunity to improve lives by bringing users the information and insights they need quickly, at a glance. The addition of Fossil Group’s technology and team to Google demonstrates our commitment to the wearables industry by enabling a diverse portfolio of smartwatches and supporting the ever-evolving needs of the vitality-seeking, on-the-go consumer,” said Stacey Burr, Vice President of Product Management, WearOS by Google. Fossil Hybrid smartwatches feature exercise tracking and notifications but otherwise look and feel like the standard wristwatch. The company also makes smartwatches with touchscreens, but Fossil has struggled with keeping up with similar technology. This could be a big chance for Google to transform WearOS and compete with the Apple Watch. As of April 2018, Statista reported that more than 50% of smartphone users favored the Android OS over Apple’s iOS. Despite this preference, many prefer the Apple Watch to Android-based competitors like the Samsung Gear. However, as noted in the Tom’s Guide article comparing the two, reviewers prefer Android over iOS for tech wearables, but noted that the Apple watch worked better for Apple devices simply because it was designed for them. That’s not a great reason to inspire brand loyalty now, is it? As a result of the Fossil Group buyout, Google is poised to exploit this Apple vulnerability. They also have a history of leveraging outside innovative technology to bolster their brand, sales, and reputation. Some may recall 2011 when Google paid around $12.5-billion USD for Motorola. However, in 2014, Google decided to sell the remainder of the company to Lenovo for a mere $3-billion USD. Of course, Google never makes hasty or bad decisions, right? Put simply, the Pixel would not have become what it is today with this Motorola deal and their patents. Similarly, Google will no-doubt capitalize on the technology it acquires in this deal to further improve and innovate their smartphone and wearable tech offerings. The Google and Fossil Group transaction is expected to close in January, according to Fossil representatives. What do you think a Google Pixel smartwatch will look like?